A Qantas flight has been forced to turn back to Los Angeles after a burst drinking water pipe flooded part of the cabin. The plane was an hour into the flight from LA to Melbourne when it turned around. 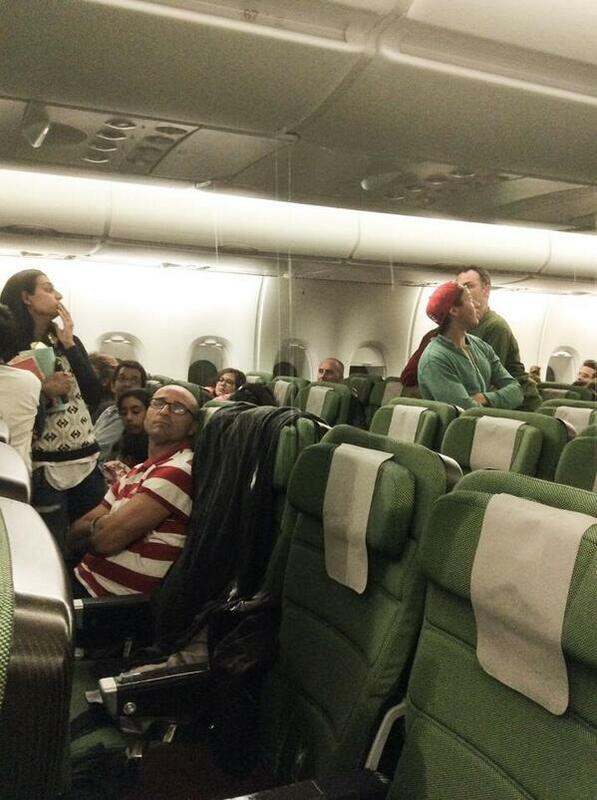 Images and video captured by passengers show water flowing down the aisles of the Airbus A-380 after the pipe burst. Qantas said passengers were moved to "unaffected areas" of the plane and given blankets to stay dry and "the captain decided to return to LA in the interests of passenger comfort". "Crew on board did everything they could to help customers," Qantas said in a statement. The airline said it was discussing the problem with Airbus. The Aircraft Engineers Association's Stephen Purvinas said it was a serious safety breach. "If it had have leaked down onto the electronic components it could have brought the thing down," he said. However, Qantas spokesman Andrew McGuiness said passenger safety was not at risk. "All critical systems on an aircraft are very well protected so that was never an issue," he said. Qantas said it had provided passengers with accommodation while engineers fixed the plane in Los Angeles. Actress Yvette Nicole Brown, best known for her work on US comedy series Community, was on board the flight and said there was a "river" running through the aisles of the plane. "We were just maybe an hour into the flight and all of a sudden, it looked like a trickle at first, like I thought someone has spilled a soda pop or something and then it just got bigger and bigger and filled up both aisles," she said. "And it was literally like a river running down the aisles of the plane." However, Brown told CNN Qantas handled the situation well. "I want to say this about Qantas, they could not have been nicer to all of us," she said. Never heard of that happening before!! Good to see that Qantas handled it so well. Yes, you are 100% right, this article couldn't have been at this ability without the contributions from the photographers who share their work with Plane Finder!